I have a little girl crush on Heather from Sprinkle Bakes anyway, because she makes the most delightful and scrumptious-sounding treats. But isn’t this just the bees knees, quite literally, y’all? 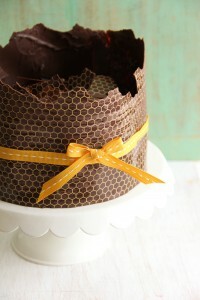 Rich chocolate cake, glazed with a chocolate-honey concoction, and then finished with the most darling chocolate transfer with a honeycomb motif. If you like what you see from Heather here, and check out other Sprinkle Bakes posts that we’ve featured, like Pink Vanilla Cotton Candy Cake, or this Sixlet Cake. 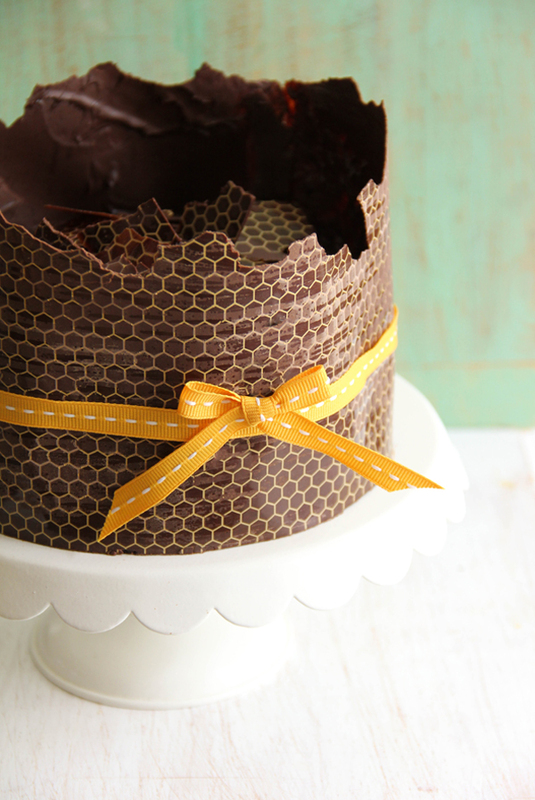 And if you’re all handy and gourmet-y and would love a groom’s cake JUST LIKE THIS, be sure to click on the link back to Heather’s blog, where you’ll find the DIY on this yumminess.